← The Toledo to Chicago Canal. A Dream Never Dug. The Riverfront area has become a a makeshift park as hundreds of people use it every week as such. The next time you’re on the East Side of Toledo, take a turn off Main Street down Riverside Drive. It’s the street that runs the length of the so-called Marina District along the Maumee River. If you’re there in the daytime, what you’ll likely find are at least a dozen cars with people inside, eating lunch, talking on the cellphone, or contemplating life and enjoying the day. Often people get out of their cars to take a stroll down to the river to visually inhale the great views of the skyline and the waterfront. This happens everyday and I have been taking note of this activity because as talk grows louder about a possible repossession of this taxpayer-improved riverfront site, owned, but ignored by its Chinese investors, we will likely need to get serious very soon about what the city wants to do with this property. And surely opinions and ideas will run the gamut. So here’s mine. Let it be what it is now and what it wants to be. A park. A place where people can come for recreational activity, a leisurely walk, a bike ride, or a picnic lunch. A place to gather. A place to be alone. It’s also a stone’s throw from the new Great Lakes Maritime Museum which keeps drawing an impressive number of new visitors. So, as we keep asking ourselves “what should we do with the large section of reclaimed riverfront?”, the answer may be right in front of us. 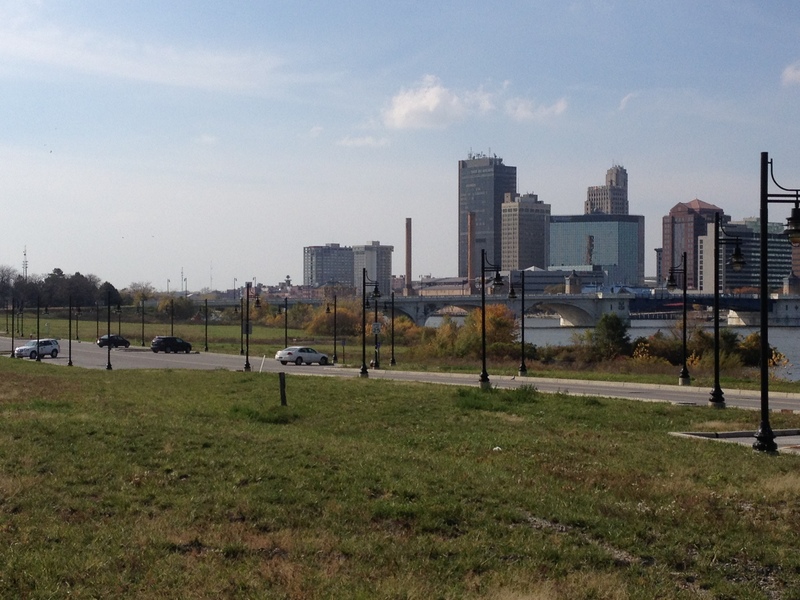 With a minimal investment, this could become a premiere park venue for Toledo. Perhaps a far better investment long term than just pouring more money and concrete into a “mixed development” project of retail, and housing that may or may not be successful. The last thing Toledo needs is another “failure”. We need positive momentum. A new riverfront city park would give us that. And would be a much greater investment in the city’s future. Our parks, and parks in general, have been, with few exceptions, success stories. Every city has proven this reality over the years, and Toledo is no exception. The major city parks in Toledo are are still just as popular as they were when they were developed 100 years ago. But even back then, the park promoters and visionaries had to convince the naysayers that this was money well spent and was a necessity – not a luxury. Public places are time tested and durable offering recreational and cultural opportunities for generations of Toledo residents. Cases in point; the Toledo Zoo, the Toledo Museum of Art, and our City of Toledo and Metro Parks systems. They have been around for a century and are still going strong. In 1895, one of the top parks in the city was Walbridge Park along the riverfront, drawing hundreds of thousands of visitors a year. It still does. And just across the street from Walbridge, the continuing popularity of the century old Toledo Zoo should provide all the evidence needed to underscore the public’s desire for family venues of amusement and entertainment. In West Toledo, in 1896, when Bancroft Street was still a dirt road, Ottawa Park was in its undeveloped infancy. It was a 280 acre acquisition that was highly controversial at the time when critics claimed that spending public money on such a large rural tract of land, far beyond the heart of the city was a foolhardy waste of money and that no one would ever use the land for recreation. 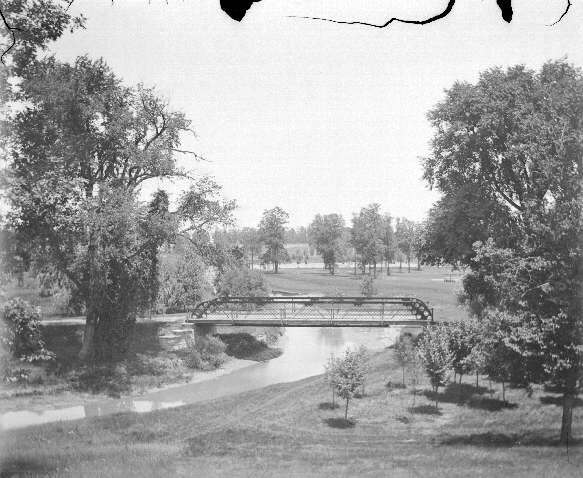 Within a few years, though, after parks and public golf crusader, Sylvanus P. Jermain was able to get a golf course built in the park, followed by the addition of ball fields and a hockey rink, and a shelter house, the park became the most popular in the city, drawing close to a million visitors a years. The voices of the naysayers were silenced and the rest, as they say, is history. So let’s make more history. Think about giving Toledoans another park? And not just “another” park, but a “special” park. One that could become the centerpiece of a new commitment to recognize and develop our love for the greatest natural resource in the city: The Maumee River. It could be that one signature venue that defines our city, helping to create a quality of life that makes the city more attractive in the eyes of prospective new companies looking for a new home, or people looking for a great place to live. Or those Toledoans who are looking for reasons to stay here. Let’s face it. Toledo has the best riverfront on the Great Lakes. We need to embrace that. We need say it loudly everyday. And we need to use our riverfront to our best advantage and not give in to those who would give it away to yet another private developer to soil this public treasure with yet another a “flavor-of-the-month” mall concept. Let’s face it, malls and stores, come and a great city should be more than a collection of retail venues. Parks are forever and the precious land along the riverfront and how it is used should belong to the people of the city. Other cities around the country have not been bashful about using their best assets to create a positive and exciting images in the minds of visitors and residents. In many communities, these special areas have featured trolleys, Ferris wheels, fountains, walkways, carousels, skateboard parks, winter skating rinks, bike paths, museums, gardens, amphitheaters and public art. Cincinnati has several such river and waterfront venues, as does Denver, and Louisville and Chicago. So why not Toledo? Expensive? Yes? But what that investment generates in the long run is a pride and a sense of place that can’t be replicated at any price. Quality of life attributes that are priceless. So let’s start with the seeds already planted at the north end of the Marina District property. The new and popular maritime museum, a museum ship and a marina. From those seeds it’s not an impossible stretch to think Toledo could grow and nurture a park-like setting that could easily include other museums, activities and facilities that are centered on celebrating the city’s heritage. Whatever it is, it should be “grand”. We should have no quarter for “little” plans. We need to do something to stir our souls. Toledo needs to make a statement. A bold one. To the rest of the world and to ourselves. This is our chance. This is our challenge. This waiting and vacant piece of our riverfront is our opportunity. Touché… and BRAVO!!! Perhaps we could work in the name Renaissance somehow, to illustrate how we see our wonderful home. Toledo Lucas County Parks hold their own against urban parks all over the USA. They are jewels in the somewhat tattered crown of Toledo, along with the public library system, the museum, and the zoo. Great idea and well thought out!! Thanks, Lou! Your idea is a great one! Good Idea Lou. Slab of Concrete here and there, restrooms and places to grill and away we go. I don’t think I like what Promedtica is going to do with their parking garage for their employee’s. I think that will almost kill Prominad Park from what I can tell and they are telling the city that is the best fit they can come up with. I think it is great they are moving into the old steam plant that heated Tiedtkes and most of old downtown but at what cost? I think we are only limited by imagination as to what could be done with the Marina District property to make a centerpiece of downtown. Will it cost money. Certainly, but greatness never comes cheap. And when money is used for developing great venues and the indentity of a community, it usually comes back multi-fold. Cincinnati’s new riverfront park is a good example of what many cities are doing today to use their best assets wisely and for the greatest public benefit.